The lawmakers, while debating the recommendation of the committee during the day’s plenary, criticised the report as lacking details. While some senators said it was fraught with ambiguities, others pointed out duplication of projects in the proposed budget of the FIRS. Some of the duplicated projects as noted by the lawmakers include the N586m budgeted for refreshment and meals; N350m for “hire of hall, accommodation and events;” N681m for welfare packages; N200m for sporting activities; and N150m for honorarium. The sum of N683m was budgeted for security services; N250m for security vote; N90m for office furniture and equipment, while another N300m was budgeted for maintenance of office building; N266m for maintenance of office equipment; and N120m for maintenance of computers and IT equipment. About N170m was budgeted for maintenance of plants and generators; N120m was set aside for “other maintenance services;” N440m was budgeted for office materials and supplies; N68m for library books and periodicals; N530m for computer materials and supplies; N1.9bn for printing of non-security documents; and N100m for other materials and supplies. A sum of N2.5bn was budgeted for tax audit investigation and monitoring, while another N500bn was appropriated for tax investigation; N170m for maintenance of plants and generators; N750m was set aside for generator fuel; N700m for motor vehicle fuel; and N1.45bn for general fuel and lubricants. The committee approved both the recurrent and capital expenditures as proposed by the FIRS. The President of the Senate, Bukola Saraki, who presided over the plenary, asked the committee to work on the grey areas in its report and represent it in one week. On the FIRS proposed budget, the report presented by the committee read in part, “The Federal Inland Revenue Service projected to collect tax revenues to the tune of N4.082tn in 2016. This comprises N484bn oil and N3.597tn non-oil revenues. The Chairman of the committee, Senator John Enoh, while presenting the report to the chamber, recalled that the Senate had on July 21 considered the request of President Muhammadu Buhari on the 2016 budget of the FIRS and referred same to the committee for further legislative action. 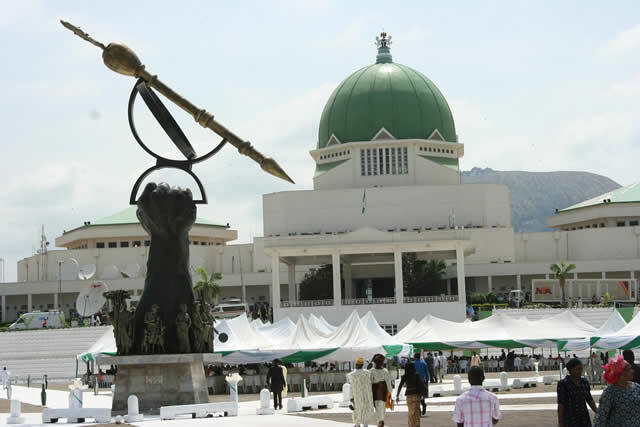 On the performance of the 2015 budget of the FIRS, the report stated that the National Assembly’s joint Committees on Finance approved a revenue projection of N436tn, comprising N1.74tn oil revenue and N262tn non-oil revenue. The joint committees also projected the four per cent cost of collection of non-oil revenue by the FIRS to be N104,723,880,000. The committee stated the summary of the proposed 2016 expenditure of the service as follows: personnel, N64,491,130,526; overhead, N46,363,000,000; and capital, N32,868,300,000, bringing the total expenditure to N143,722,430,526. The committee further observed, “The total personnel costs are for salaries, wages, allowances, performance bonuses and social contributions. The 8,000 members of staff are proposed to be on the payroll during the 2016 financial year, which accounts for the increase of 19 per cent above the actual staff strength of 6,748. The projection presumes a recruitment of new staff members in 2016. “The overhead cost is very vital in driving the achievement of the FIRS’ core objectives of tax revenue generation. The provisions in the 2016 budget give more emphasis on availability of office materials, training, consulting and professional services, and publicity. The committee recommended that a total expenditure of N143,722,430,526 be approved for the FIRS, which the Senate rejected.